If you use MultiUnlock Client by JIC to unlock by Cable all the Palm Pre/Pixi and HTC Android, please note that you must starting today use the last update v30, it’s a very important update and you can dowload it now using the link below. JIC Team just release HTC Android Unlock Server by Cable, this software support for the moment HTC Desire, HTC Wildfire and HTC Magic. > No rooting or flashing needed! > No need to upload files to handset. > Just install drivers and press unlock and wait for the code! These prices are based on GBP, and auto convert with today rate in EUR or USD if you don’t have GBP Account ! We’re worldwide Distributor for this Service and we can reduce price of one log account based on the volume you buy if you request by email. We’re please to inform that we just update the HTC Supernew Records Database with 4 Millions IMEI (Mostly HD7 and HD2), we don’t update yet the IMEI Check system so even if you see “Not Found” using “IMEI Check” you can still try to submit using “HTC Supernew Records” ! 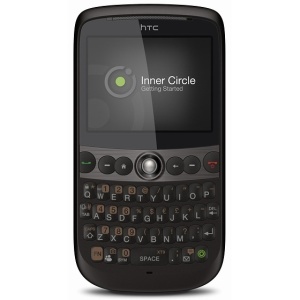 It’s 100% Confirmed, all the newest HTC Legend, HTC Desire, and last release of HTC HD2 can be unlocked by IMEI in Real Time (Instant) using the new tool “HTC Factory Code (Supernew Records)” this database include all models released by HTC since the 25th May 2010 and is 100% up to date. Exclusivity for UnlockBase.com Server ! So if your HTC was produced after 25th May 2010, this service is definitely for you! The reason why this wasn’t promoted earlier was the fact the service was taking about 24 hours, now this is INSTANT 24/7! – therefore making it an hot service to use and to advertise ! The most common phones used for this service is, HTC HD2 (specially the one from T-Mobile US), HTC Legend, HTC Desire, HTC Magic, HTC Hero , HTC Touch HD2, HTC Touch, HTC Touch HD2 Leo, HTC LEO, T-Mobile G1, HTC HD, HTC Tattoo, T-Mobile myTouch 3G, HTC Bahamas, HTC G1, HTC Touch PRO. HTC Factory Code (New Records): Now Instant ! As the supplier stopped updating the Database since 2nd February 2010, so if your HTC was produced after 2nd Feb 2010, this service is definitely for you! The reason why this wasn’t promoted earlier was the fact the service was taking about 24 hours, now this is INSTANT 24/7! – therefore making it an hot service to use and to advertise ! 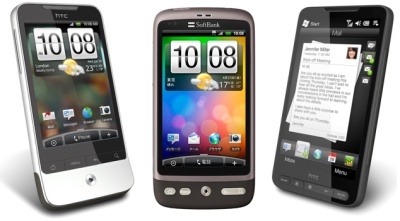 The most common phones used for this service is, HTC HD2 (specially the one from T-Mobile US), HTC Legend, HTC Desire, HTC Magic, HTC Hero , HTC Touch HD2, HTC Touch, HTC Touch HD2 Leo, HTC LEO, T-Mobile G1, HTC HD, HTC Tattoo, T-Mobile myTouch 3G, HTC Bahamas, HTC G1, HTC Touch PRO. Price is negotiable if you find cheaper with one of our competitors! We add today the new MicroBox add-on for HTC on UnlockBase for 99 Credits EUR. You can order this add-on from “Cable Unlock” section of your UnlockBase account and selecting the tools “MicroBox HTC Activation“, we’ll need the Serial Number of your Box to process your order in less than 12 Hours ! Unlock the new HTC SNAP from Telus Canada ! – Enter Code you receive ! * If you find cheaper, or if you do large quantity, please contact us to negotiate better rates ! 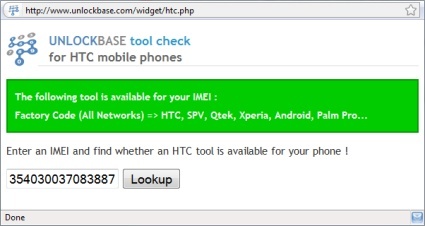 To use this option go to “IMEI Unlock” section of your UnlockBase account and select the tool “HTC, SPV, Qtek, Xperia, Android, Palm Pro…” your model from the list, enter your IMEI, and that’s it ! !